Management Consultants are hired to help organizations improve their performance across specific functions such as strategy, executive leadership, technology adoption, sales, process improvement or operations. Consultants usually work in a variety of industries such as technology, retail, human resources, energy and gas, etc. And, like many military veterans, management consultants are leaders, strategists and highly analytical. With the number of hacking, cyber warfare and data breach cases on the rise, Chief information security officers are needed across industries. In this role, the individual works with teams to protect the privacy and integrity of a company’s data and information system. The Chief Information Officer also evaluates security strategies and conduct frequently auditing on current systems in place. With focus on a company’s long-term goals, a Business Development Director develops a roadmap for success. The ability to create sales opportunities, identify strategic partnerships and develop risk mitigation plans is key for anyone looking to land this role. If you have a love for technology, planning and keeping people on task, the role of an IT Project Manager may be perfect for you. As you lead your project team through the design and development phases, you’ll ensure the quality and assurance of deliverables, coordinate resources and delivery. From leading thousands of soldiers on difficult missions to helping leaders respond promptly, and accurately during an emergency, effective strategic and crisis communication plays a huge role in military operations. 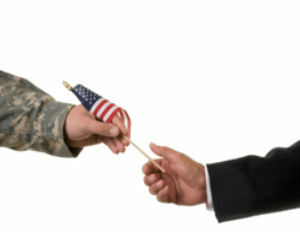 According to payscale, Chief Information Officer is a popular position among Army veterans, who are almost four times more likely to become a CIO than an average citizen. You can also search military.com for guidance on how to translate your military skills, education and experience to non-military jobs.